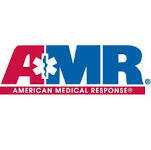 AMR was founded in 1992 when several well-established regional ambulance providers consolidated into a single company. In 1997 AMR merged with Med Trans making it the largest ambulance service provider in the United States. Global Medical Response (GMR) was formed in 2005 when AMR expanded its line of service with a new international EMS division. A year later AMR acquired Air Ambulance Specialist (AASI) which is now named AMR Air Ambulance, which consist of domestic and international fixed wing air ambulance services. As of today AMR is a leader in the emergency medical services sector which is known for implementing and providing the industry’s best practice. Must be currently State and Nationally registered as EMT-Basic. Must possess a current driver’s license in the State where employed except where exempt by State regulation. Currently licensed as EMS-Driver with DEMS. Current adult and child CPR certification from AHA. In States where required, must possess a current Class D driver’s license.